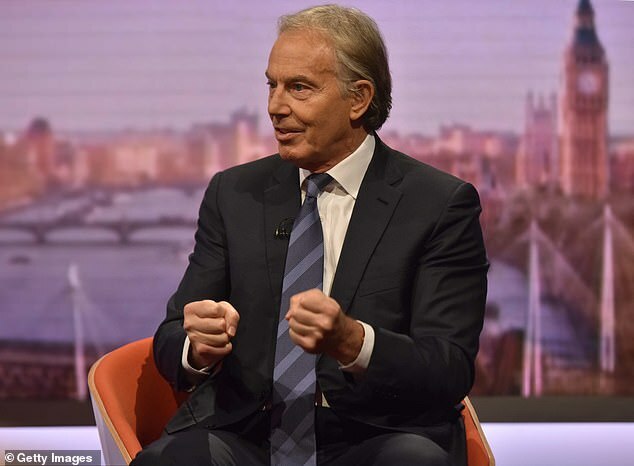 Tony Blair today said Theresa May should pull next week’s crunch Brexit vote rather than ‘plunge’ ahead and suffer a massive and humiliating defeat. Mrs May has vowed to press ahead despite predictions she could lose the vote by over 100 – a defeat which could deal her premiership a mortal blow. But former Labour leader said there is no point in just running head-on into a defeat and that he would pull the vote if he was still in No10. He also warned that Tory MPs have lost confidence in the PM on Brexit and have decided ‘mutiny is wiser than following the officer class into the abyss’. And the arch Remainer renewed his call for a second Brexit referendum – saying that with MPs bitterly divided over the future the only option is to ‘go to the people’. The ex PM made the comments as he made a rare return to Parliament to give a speech to political journalists at a lunch today. Tony Blair today lashed plans for the UK to opt for a Norway-style Brexit deal. A group of Labour MPs and Tories – including some ministers – want the country to get a Norway plus deal. This would see the UK stay in the single market and customs unions rules, meaning it would have to keep free movement. But speaking at a press gallery lunch today, the former PM was scathing about the prospect of the deal. He Brexit voters would see Norway as a betrayal of the referendum. Shaking his head, he said: ‘I hear talk of Norway, no. ‘Norway is not going to work. Norway is going to be subject to an even greater degree of attack from people who voted Brexit. 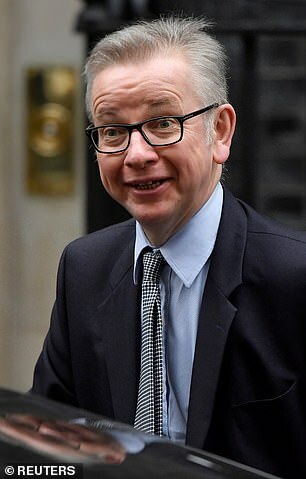 He said: ‘As to whether Theresa May calls the vote or not, if I were her I would just understand that this is a situation where you are going to have to work out if it is possible for any option to command a majority. Mr Blair said that he has ‘100 per cent personal sympathy’ for Mrs May and the sheer hard work she has put into the talks. But he said she has lost her grip and the confidence of her backbenchers, who have risen up against her in a revolt which threatens to torpedo her Brexit plan. The ex Labour leader said Parliament has risen up and put itself ‘in command’ of the talks after voting to earlier this week to give the Commons the power to instruct the PM if her deal is defeated next week. He lased the PM’s plan and said the only way out of the parliamentary gridlock is to hold another referendum. He added: ‘I think it is very hard to look at that Brexit vote and say they mandated Norway. ‘I think it is hard to say, though easier to say, that they mandated Canada. Several Cabinet ministers have urged the PM to pull next week’s crunch vote and return to Brussels to try to squeeze more concessions out of the EU. And the PM sparked fevered speculation that she may be about to bow to their pressure after she summoned senior ministers to Downing Street this afternoon. Sir Graham Brady, chair of the powerful Tory backbench 1922 committee, also waded into the row this evening by saying he would ‘welcome’ a delay to the vote. 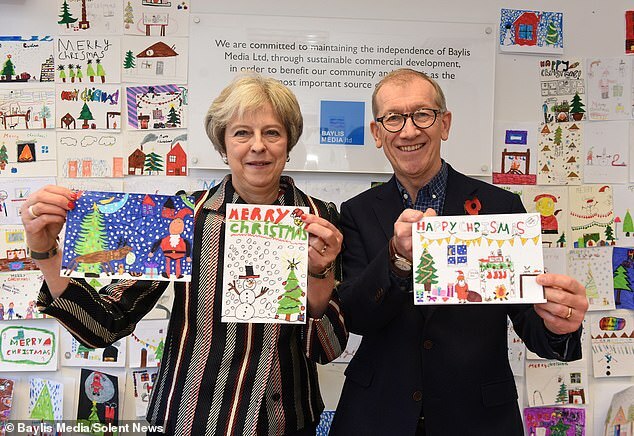 Mrs May held around an hour of talks with ministers including Philip Hammond, Amber Rudd, Sajid Javid, Liam Fox, David Lidington, David Gauke, Andrea Leadsom, Michael Gove and Stephen Barclay. But afterwards Downing Street confirmed that there is still no prospect of the showdown next Tuesday being called off. Sources told MailOnline the meeting was ‘taking stock’ of the situation. Earlier, Mrs May struck a defiant tone as she warned there is no other deal on the table, and that killing her proposal off would either end up with the UK crashing out of the EU – or Brexit not happening at all.